November 12, 2016 – Salt Lake County, Utah is seeking public comment on the Active Transportation Improvement Program (ATIP) Draft Map by November 15, 2016. The ATIP is a network of low-stress bikeways that Salt Lake County is planning on implementing over the next few years. Active Transportation, generally understood as biking and walking (but could include any other form of human powered transportation), is seen as a way for Salt Lake County to improve air quality, health, and recreation. Additionally, it is a goal of the plan to provide more transportation options, and to improve air quality. 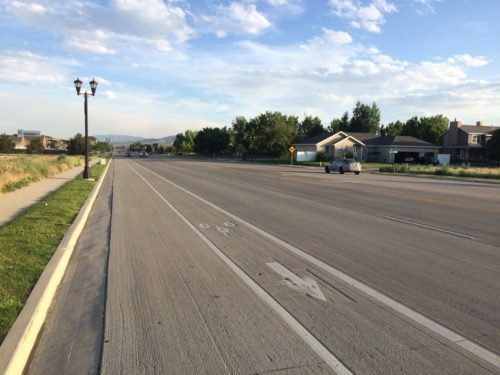 The plan is continuation of ongoing plans for cycling on the Wasatch Front, including those of the Wasatch Front Regional Council, UDOT, and UTA. So far, there have been four open house on the draft map with numerous attendees, as well as a set of initial open houses that helped to inform planners in making the map. Unfortunately as of today, the number of commenters on the web version of the map has been relatively low. Follow the directions on the map to comment on areas of concern for you. Turn on layers to see other people's comments and add to those.